Tea is a shrub that grows in the humid tropics and subtropics. Whether green, black, white, yellow, or blue, all teas come from the same plant: Camellia Sinensis. The exception is Roobois red tea, which is from a different bush. 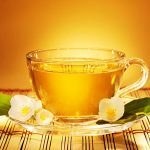 Whether it is to get healthy, stay well, lose weight or many other conditions, we have the right tea for you. Recommended steeping time: 4 – 5 minutes. ring shrub and not the Camellia Sinensis plant. It’s chopped, bruised, and left to ferment. It is then placed in the South African sun where it changes from green to dark red. It is great for tea drinkers who are caffeine sensitive and also great for kids. Regularly brewed once. The great thing about Roobois is that the longer it brews the stronger the flavour gets! Taste will never get bitter! Recommended steeping time: 4 – 6 minutes. 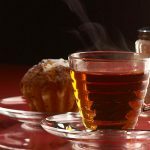 While all tea comes from the Camellia Sinensis plant, black tea is heavily fermented and is more oxidized than other varieties of tea, brewing a stronger flavor. It is regularly only steeped once. Do not over steep. Over steeping can result in a bitter taste. Recommended steeping time: 2 – 3 minutes. Tulsi Commonly known as Holy Basil.